Oregon law requires businesses and state agencies to notify any Oregon consumer whose personal information was subject to a breach of security. 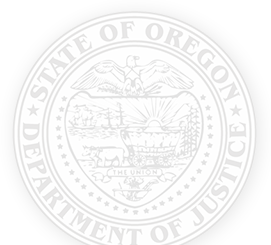 In the event that a breach effected more than 250 Oregon consumers, the law also requires that a sample copy of a breach notice sent to more than 250 Oregon consumers must also be provided to the Oregon Attorney General. For a list of those notices, visit the Search Data Breach Notice database », where you can search by the name of the organization that sent the notice, or simply scroll through the list. Oregon Data Breach Reporting (PDF) – New! Businesses and state agencies required to submit a sample notice can use the Submit Data Breach Notice form ». Consumers wishing to file a complaint can use our online complaint form ».